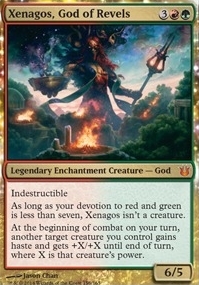 Xenagos, God of Revels ($68.08) Price History from major stores - Born of the Gods (Foil) - MTGPrice.com Values for Ebay, Amazon and hobby stores! 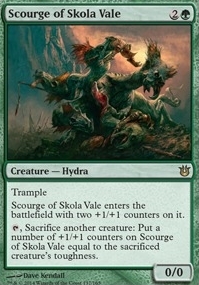 Card Text: Indestructible As long as your devotion to red and green is less than seven, Xenagos isn't a creature. 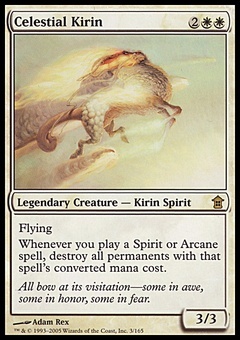 At the beginning of combat on your turn, another target creature you control gains haste and gets +X/+X until end of turn, where X is that creature's power.